Joe Lynam serves as the Chief Operating officer for Fowler Hirtzel McNulty & Spaulding. Mr. Lynam has broad responsibilities regarding the business operations of the firm. He is responsible for the financial planning, accounting, budgeting, cash flow analysis and forecasting for the firm. Mr. Lynam also manages the firm’s acquisition of new space and the build-out of new and existing offices. He negotiates benefit plans and is responsible for the firm’s systems, outsourced operations and implementation of new technology upgrades. 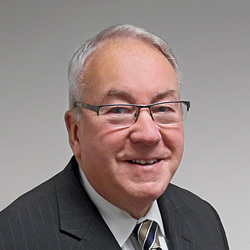 Mr. Lynam has extensive experience in finance, office administration and accounting for professional service firms. He previously worked in the banking industry where he gained significant experience in accounting, sales, management and product management and development. Joe is a graduate of LaSalle University, where he received his Bachelor’s degree in Accounting and Business Management.